Pundits and poo-bahs propound profoundly about party identification. Just the other day I heard a pollster analyzing his own organization's poll and announcing that Beto O'Rourke is still largely an unknown in Texas (he is; he's from El Paso, which is so far into New Mexico it's practically in Arizona. If you leave East Texas on a journey to California, you'll be halfway there when you reach El Paso, and you still haven't left Texas.) and popular only because of the "D" beside his name. Which is curious since "D" has been the death-mark in Texas politics for at least 30 years, but now it isn't, and yet that isn't a profound shift, per the pollster's analysis. And it really isn't so bad; the idea of a "yellow-dog Democrat" (and I wish I still had the political pin with the picture of the yellow dog on it and the legend "I'm a yellow-dog Democrat." Because I am.) was that the voter would vote for a yellow dog if it ran on the Democratic ballot. I think that's all he meant by it, too, but it's supposedly a lesser thing to be so partisan, even though that's the story of American politics since the Whigs and the Federalists. I mention this because I've been getting material from the NRA, and I finally decided why. One was a loaded survey, full of what Walt Kelly described as "the buckshot use of the curved question." I answered them all contrarily and sent it back, just to charge them the postage and the personnel to open the envelope. Yesterday they sent me a membership offer. I am the furthest thing from a prospective NRA member (well, there are probably a few people in Berkeley), and I couldn't figure out why they had me on a mailing list. Then the penny dropped. In the May primaries I voted in the GOP, in a foolhardy attempt to block the nomination of the Lt. Gov. Foolhardy because it was the desperate attempt of a GOP candidate to win that nomination by urging school employees across the state to oppose the incumbent's idiotic ideas about schools, especially about how schools treat transgendered students (of which there are probably, what, 5 in Texas? Honestly, how is that a big problem, and how is treating them with respect an issue for government to oppose?). Didn't work, but I got lots of phone calls about GOP primary runoffs. The runoffs came and went and now the Democrats are back to courting me, which is much nicer. But I realized the NRA must have used those voting rolls for fundraising and mailings. It's the only explanation, because in 60+ years I've never gotten on their radar. This can't be a coincidence. And the conclusion is obvious: people who vote for people with "R" by their name are obviously more sympathetic to the NRA. QED. 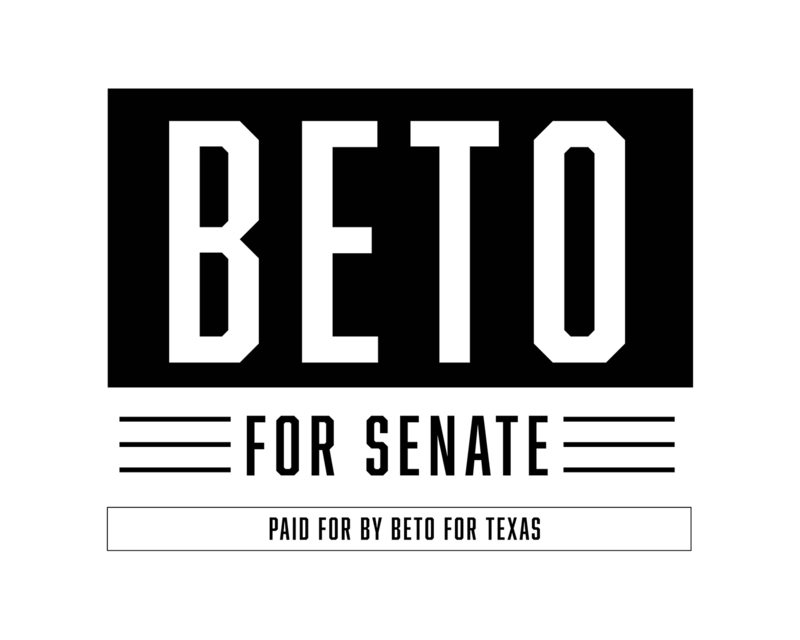 In the meantime I'm seeing several "BETO" yard signs in my neighborhood, where I've never seen any before, or if so the occasional GOP candidate. Other Democrats signs, too. This may mean more in November than anyone sees yet. As a life long yellow-dog, it warms my old Democratic heart.